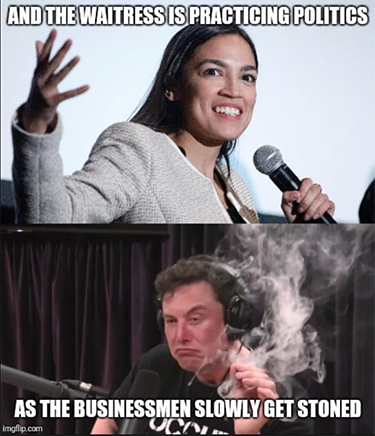 2 Feedbacks on "Billy Joel Predicted"
AOC is a post turtle, a puppet, a front. I am looking forward to the little game being exposed. In a sad bit of irony, the bar at which AOC worked has closed because the owner said he could not afford the NY minimum wage. I would also add that this does not reflect well on Boston University that awarded AOC a degree in economics. Apparently you can get one without understanding what a demand curve is.